Caffè Nero is still coming to Leighton Buzzard, although work has yet to begin on the vacant buildings. The owners Waterborne Walk, Westbrook Properties, have confirmed that the coffee brand remains committed to opening a shop in the town. In November 2017, Westbrook Properties first confirmed the news that the coffee shop would be moving into the vacant units 6 and 6a on Waterborne Walk. At the time they were confident it would be open by May 2018 after it was extended and fitted out. This week, following social media speculation that Caffè Nero had changed its mind, the owners of Waterborne Walk denied this and insisted the coffee shop would be opening. 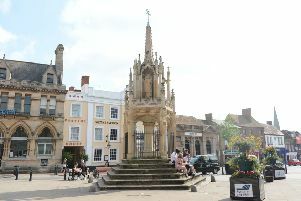 A spokesman for the company said: “Caffe Nero is still coming to Leighton Buzzard, we spoke to them yesterday and they said that work is due to begin at the vacant sites in Waterborne Walk next month.